We’re changing the conversation about health care by using the tools of journalism to bring transparency to health care, and tell people what stuff costs. We launched our New Orleans PriceCheck partnership in April 2017, reporting on and crowdsourcing health prices with our award-winning journalist partners, investigative reporter and anchor Lee Zurik at WVUE FOX 8 Live and Jed Lipinski and Manuel Torres at NOLA.com I The Times-Picayune, and their teams. How do we do it? We use shoe-leather journalism, data journalism and crowdsourcing to reveal the mysteries of pricing. This is a continuation of our national partnership strategy at ClearHealthCosts; to read about all our partnerships, go here. In our first flight of reporting, we did stories including one that collected 2,100 shares, Facebook Lives with 8,000 views and up, and immeasurable buzz. 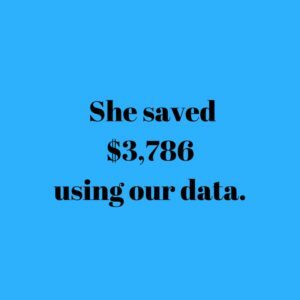 We saved one woman $3,786, and several others told us of hundreds in savings. We have CEO’s coming to us to tell their stories, Deep Throats whispering in our ears, and people sending us love letters of the sort most journalists don’t see these days. The insurance commissioner came to us, to call these billing practices “unconscionable,” as did several state and local legislators. The Louisiana Legislature just passed a “balance billing” consumer protection bill, similar to one that had been stalled for 10 years. We have hundreds and hundreds of people sharing their prices and their stories, with many sending in their full bills and benefit statements, to build a community-created guide to health care prices. It’s an act of co-creation with our community. We have 400 voicemails and as many emails, in addition to shares on our special interactive software. We have providers asking if they can send in their prices, and if they can advertise on our project pages. The CEO of Tulane Medical Center (owned by for-profit chain HCA!) sent an internal email yelling about us, and another medical group held a meeting to see if they could stop us. Our Fox 8 Live partner won the May sweeps — that’s television’s biggest yardstick — with our reporting. Our work was featured in an Advance Digital in-house newsletter, (they’re the NOLA.com parent) and the president of NOLA.com mentioned our partnership as a billboard achievement next to NOLA.com’s coming New York Times partnership. Our metrics show visits from the US Department of Justice, all the major players in the health care ecosystem there, the US Department of Veterans Affairs (a vet was featured in one piece) and many others. We have heard from fraudbusting lawyers. And … We have completely changed the conversation in the space of two short months. Nobody’s talking about Obamacare: they’re talking about a blood test that could cost $522 one place and $19 a couple of blocks away. People are feeling empowered, and energized, and sometimes even in control of their spending. Here’s a page with our coverage collected together. Selected links: If you have time for only a few, try these. Link 1 Lee Zurik leadoff piece for “Cracking the Code” results. 8-min video. Link 2 Surprise billing; this piece got 2,100 shares in NOLA.com. 1.200-word written piece. Link 3 Freelance gardener “Can’t bring myself to give them that money’: Finding out your $284 blood test costs $34 nearby” 1,200-word written piece. Link 4: New Orleans woman saves $3,786 on an MRI; Tulane Medical Center CEO slams “cracking the code.” 7-minute video. To read about all our partnerships, go here. WVUE FOX 8 News, owned by Louisiana Media Company, and operated by Raycom Media, leads New Orleans, Louisiana, the state and the region in the field of broadcast investigative journalism. Lee Zurik, the chief investigative reporter and anchor, has won multiple awards for investigative journalism, including one in April 2017 from the Investigative Reporters and Editors for his series “Medical Waste,” about health care pricing. April 10: “Cracking the Code” and “Medical Waste” are a finalist in the prestigious Peabody Awards. More coverage here and here. Dec. 5, 2017: Louisiana Legislature passes consumer protection legislation in the wake of “Cracking the Code” launch. Aug. 24: “It’s a magical formula for journalism, and a great way to take the powers that be by surprise.” We did an “AMA” (Ask Me Anything) on Reddit. The same piece on TelemundoAmarillo.com.